Finding a swimming pool in Rome is no easy task. There are a few but they tend to be part of rather outdated yet expensive private sports clubs. One of them however stands out: the mosaic swimming pool built as part of Mussolini’s Foro Italico complex. It is like no other, pure marble with stone mosaic decorations reminiscent of Roman sports scenes. The Foro Italico located at the foot of the Monte Mario hill, is a huge sports complex built in the 1930s as part of Mussolini’s grand scheme to create a Nation of strong sportsmen and fierce soldiers. Apart from the swimming hall, it includes various sport stadiums, the most prestigious of them being the Stadio dei Marmi, a running track surrounded by classic sculptures. It was designed by Enrico Del Debbio, one of Rome’s leading public architects from the 1920s to the 1960s. 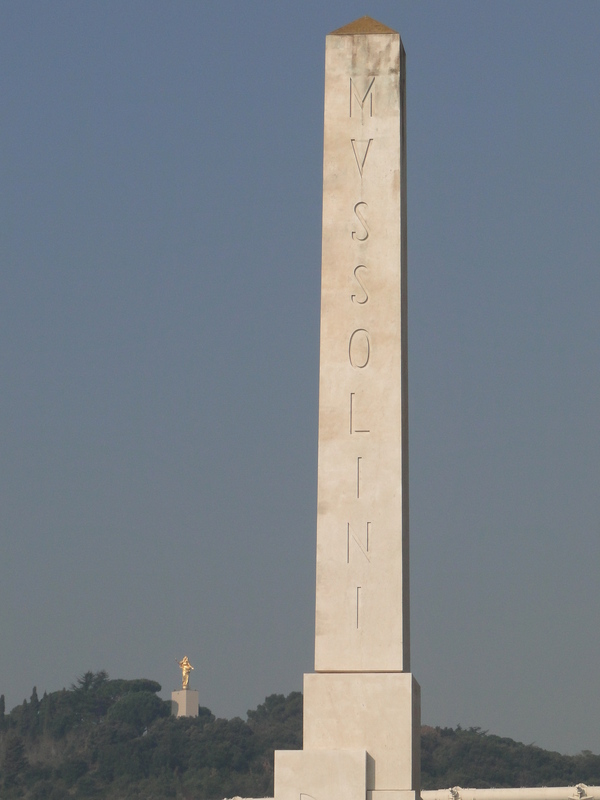 Initially called the Foro Mussolini, it was also a monumental way to celebrate the Fascist regime, as shown by the still-standing obelisk erected to glorify Mussolini. Today, it belongs to and is managed by the city of Rome. Mussolini was obsessed with the glory of the Roman Empire, which he was trying to recreate with his Third Rome, after the Rome of the Antiquity and the Rome of the Popes (second Rome). Mussolini didn’t invent the term; it had already been used by Giuseppe Mazzini, one of the founding fathers of modern Italy and political brain of the Risorgimento in the 19th century. Mussolini’s Third Rome was also a grand project to extend the city towards the sea at Ostia, and transform its architecture like the Roman Emperors and the Renaissance and Baroque Popes did before. 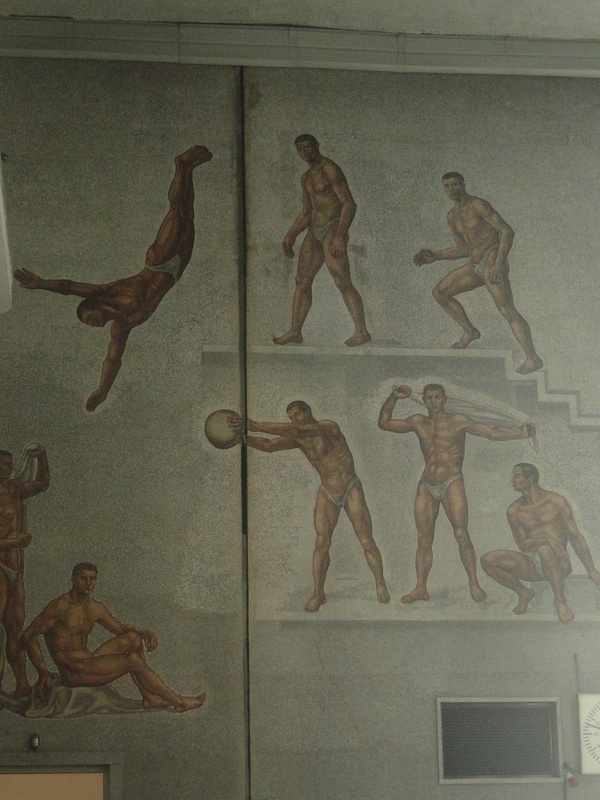 The Foro Italico’s decoration however is fully inspired by classical art, in particular the many mosaics and low reliefs which are both 1930s adaptations of famous Roman themes. 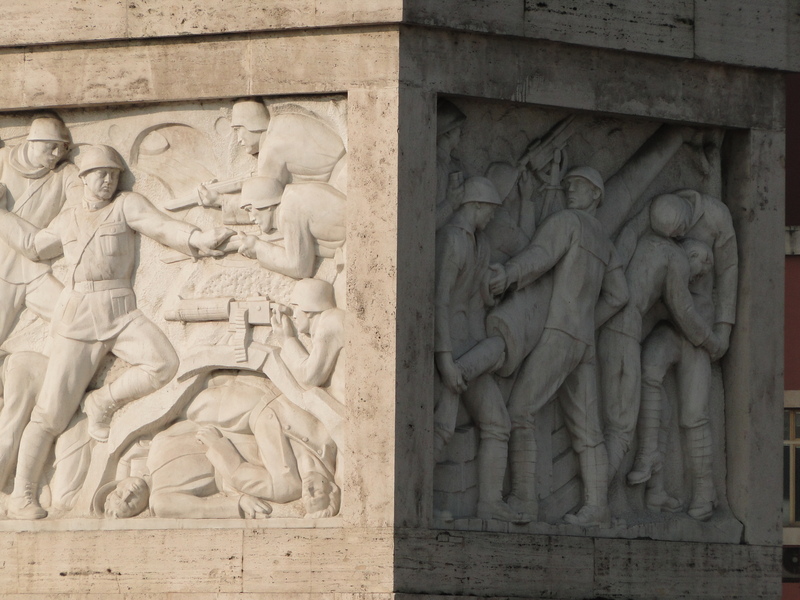 Mussolini went as far as creating a series of low reliefs recalling what he viewed as heroic battles, just like Marcus Aurelius and Trajan did on their respective columns. The whole complex was later enlarged to prepare for the 1960 Olympic games held in Rome. Two new outdoor swimming and diving pools were built then, as well as new stadiums and tennis courts. The current Olympic stadium, where most football games take place, dates from the 1990 Football World Cup. 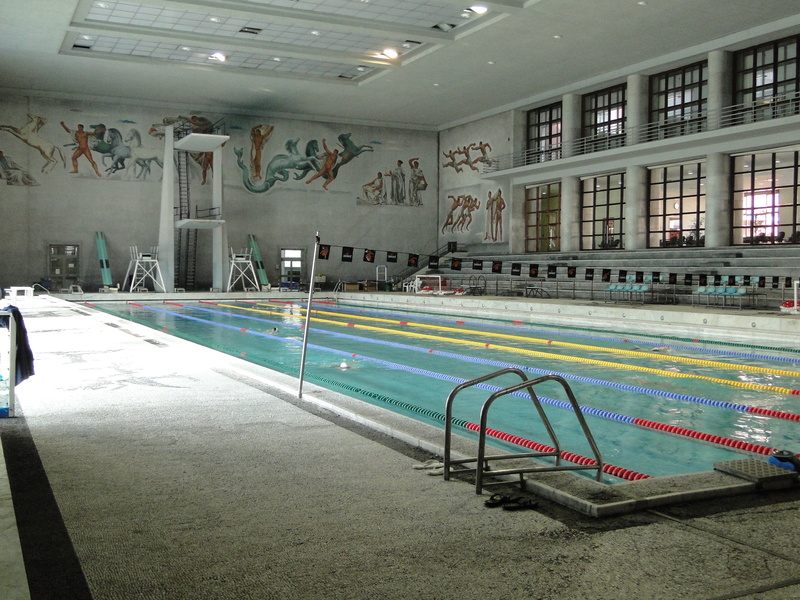 Today, the pools and stadiums are used daily for training and competitions. 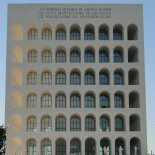 Next to the Foro Italico is another great example of Fascist architecture: La Farnesina, seat of the Italian Ministry of Foreign Affairs. When in most countries traces of former dictators are quickly erased once they are out of power, cohabiting with Mussolini’s shadow doesn’t seem to be a major issue for Rome and the Romans. Do you know of any swimming pools in Rome that are handicap accessible? This entry was posted on April 4, 2011 by Salambo in 20th century Rome, Arts and culture, Daily life in Rome, English, Mussolini's Rome, Rome's neighbourhoods and tagged 1930s architecture, fascist architecture, foro italico, italy, Mussolini, Rome, stadio dei marmi, swimming-pool.